Every composer wants to be successful, respected and loved but rarely do all three come to fruition in their lifetime. However, Rossini did just that. Born Gioachinio Antonio Rossini, he was one of classical music’s great bon viveurs and the most popular, successful and influential opera composer of the first half of the 19th century. Recognised for his highly ornamental, quasi-classical vocal display, exotic colour and spectacle, he single handily undertook the titanic task of dragging the cumbersome and moribund forms of 18th century Italian opera into a new era. Having composed nearly 40 operas in as many years, operagoers have been intoxicated by Rossini’s masterpieces for years. Among his best known frothy comic operas are The Barber of Seville (1816), La Cenerentola (1817), and of his later, larger-scale dramatic operas, the most heard is William Tell (1829), all of which have appeared at WNO over the years. Today, on his 150th anniversary; we take a look back at the relationship between the Italian composer and WNO. It took Rossini just three weeks of 1816 to create The Barber of Seville, one of the all-time masterpieces of comic opera and the first Rossini opera WNO undertook. In autumn 1956, WNO staged a new production by Harry Powell Lloyd, which proved a popular choice, alongside I Lombardi, La bohème, Cavalleria rusticana & Pagliacci, Tosca and Nabucco. The cast included William Dickie as Figaro, Tano Ferendinos as Count Almaviva, Barbara Wilson as Rosina and Howell Glynne as Dr Bartolo. 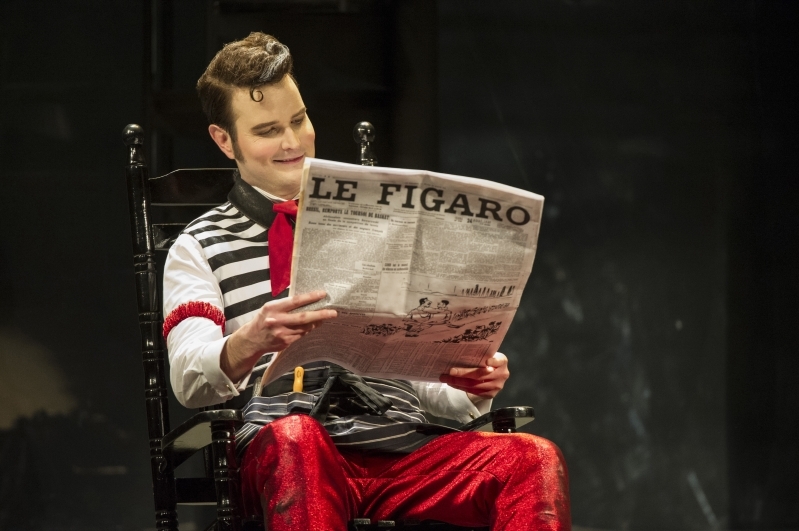 Today, Rossini’s The Barber of Seville is firmly rooted in WNO’s repertoire. With 6 new productions and 17 revivals, it is Rossini’s most performed opera at WNO. Re-live Sam Brown’s bold and bright production, which formed a part of our Figaro forever season in spring 2016. Rossini’s crowning masterpiece, William Tell, first appeared at WNO in 1961 with a new production by John Moody, who had been appointed WNO’s Director of Productions the previous year, and conducted by WNO’s Music Director at the time, Charles Groves. The opera was revived the following year but wasn’t staged again until 2014 – a broody, captivating new production from WNO Artistic Director David Pountney, conducted by WNO Conductor Laureate Carlo Rizzi. The cast featured David Kempster as Tell, Leah-Marian Jones as his faithful wife Hedwige and Fflur Wyn as his brave son Jemmy. Moses in Egypt, which bore the subtitle azione tragico-sacra, made its first appearance at WNO in 1965, in a new production by John Moody, conducted by Bryan Balkwill. This was the first time the opera had been seen in Britain for more than 100 years. A strong cast had been assembled with Michael Langdon as Moses, Pauline Tinsley as Sinaida, Lorna Elias as Anna and Stuart Burrows as Eleazor. The production was received with interest and was revived the following year. Nearly 50 years later, and WNO staged a new production by David Pountney, which formed a part of the Liberty or Death season, alongside William Tell. The last Rossini opera to enter WNO’s repertoire was his twist on the fairy-tale, Cinderella. La Cenerentola made its debut at WNO in 2007 with an extravagant and colourful new production by Joan Font, conducted by Carlo Rizzi. Autumn 2018 saw the revival of this panto-esk opera which contains a boozy dad, catty sisters, and a multi-coloured swap shop of borrowed clothes. Under the baton of WNO Music Director Tomáš Hanus, the cast includes Tara Erraught as Angelina, Aoife Miskelly and Heather Lowe as Clorinda and Tisbe, Matteo Macchioni as Don Ramiro, Giorgio Caoduro as Dandini, Fabio Capitanucci as Don Magnifico and Wojtek Gierlach as Alidoro. Our revival production of La Cenerentola is currently on tour and will be visiting Birmingham Hippodrome and Mayflower Theatre Southampton this month.